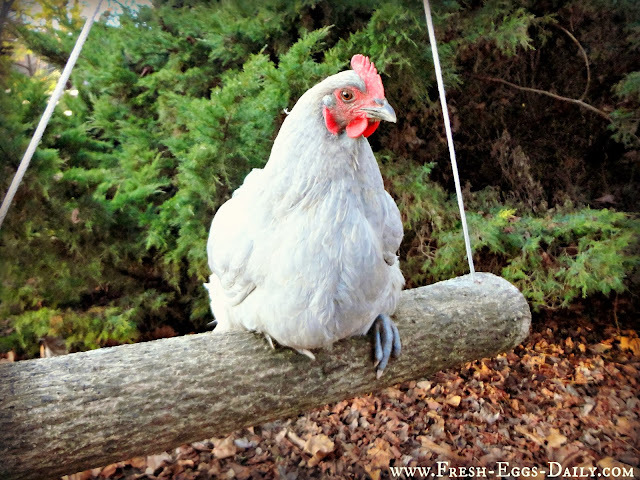 I suppose because I am easily bored, I always worry that our chickens are also bored, so I spend an inordinate amount of my day either just hanging out with them, picking weeds or raking piles of leaves or pine needles for them, or coming up with new and different ways to keep them stimulated. 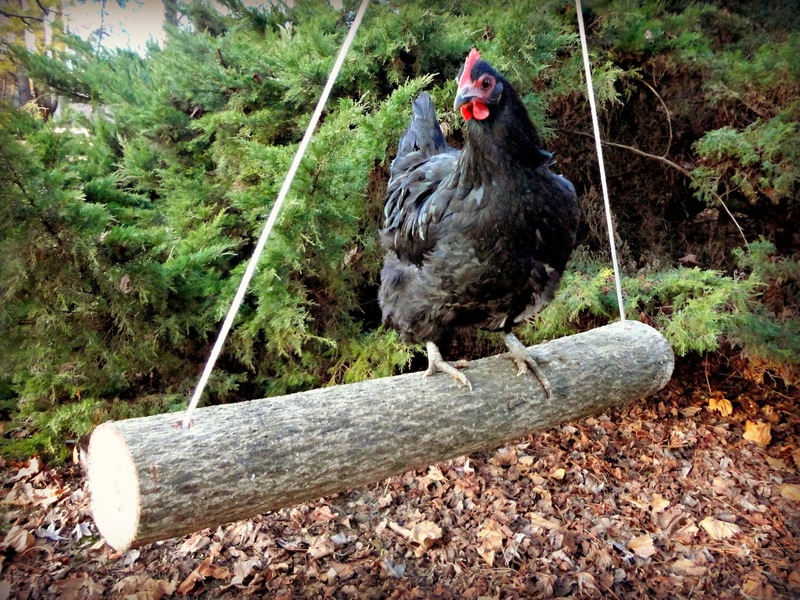 So several years ago, I decided that my chickens would love a swing in their run. 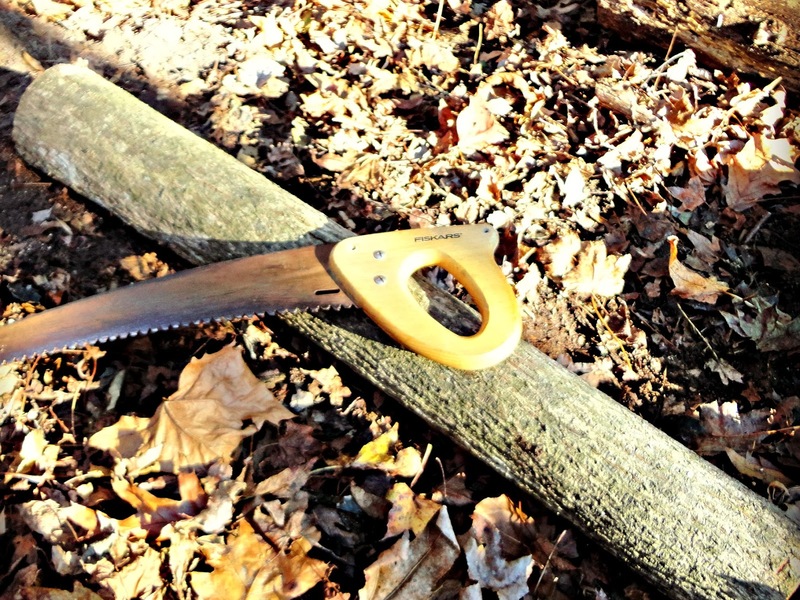 I headed off to the woods with a saw (I am terrified of chain saws, so it was a manual saw for me!) 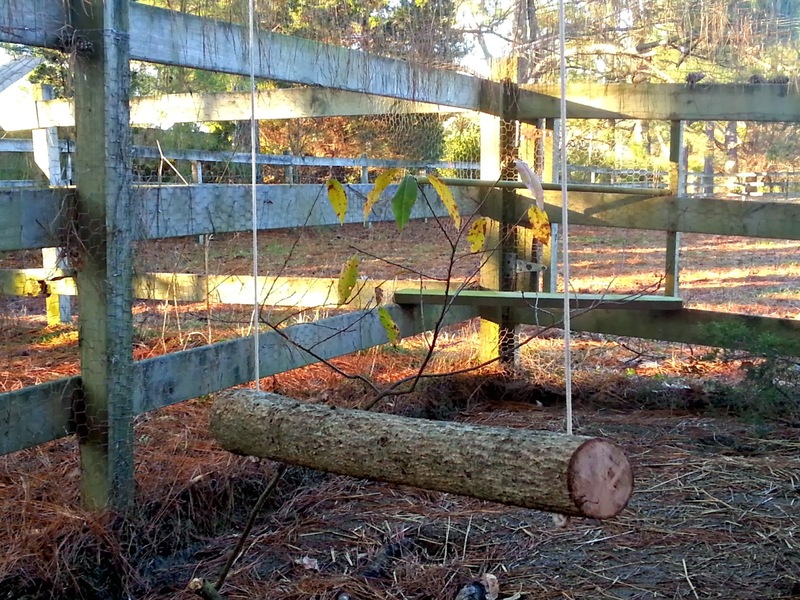 to find a branch to turn into a swing. In no time I had found a nice thick branch and I cut off a good length (about 2 feet long) to use for my swing. 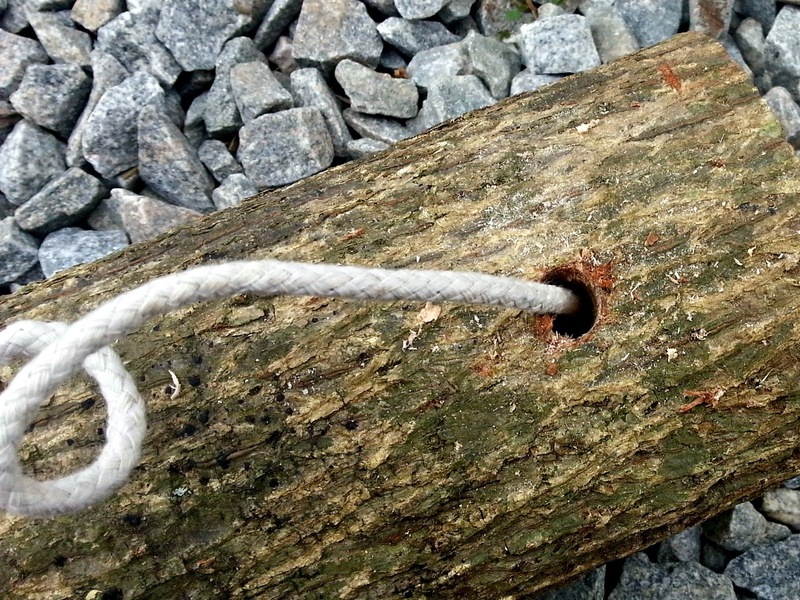 Using the biggest drill bit I could find in the garage, I drilled a hole through each end of the log and then threaded a length of clothesline through and knotted the clothesline on the underside to secure it. 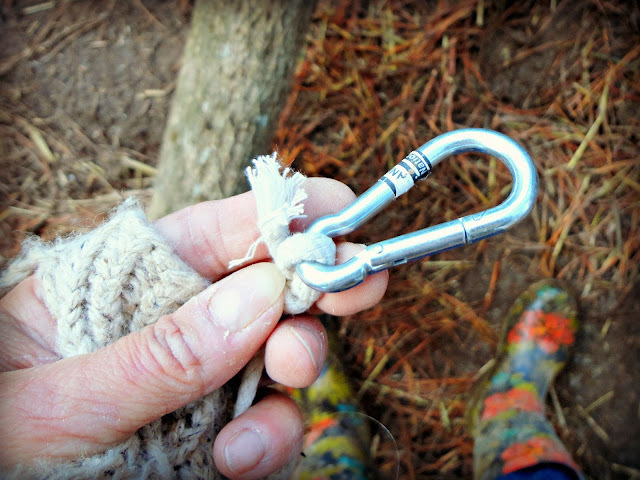 I attached a caribineer to the free ends of the clothesline so I could clip the swing to the top of our run and hang it in place. But Violet got her balance right away and settled down to enjoy it. This is a great way for the girls to get up out of the mud or snow and off the cold ground in the winter. It will also keep them entertained and from getting bored or pecking at each other. 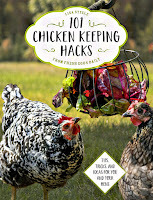 If you liked this fun project, you'll love my new book 101 Chicken Keeping Hacks available where ever books are sold! ohh... my chickens need a swing! Looks so easy to do. Thanks so much for the idea! 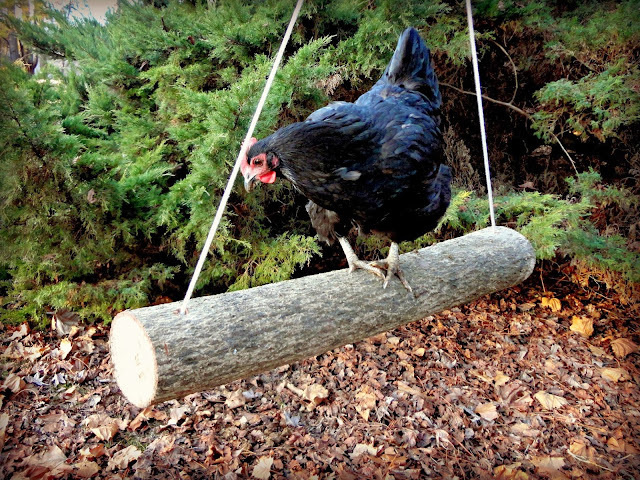 Since we converted our children's old play set into the coop/run, this would be a perfect addition to it. The hooks are already there, I just need to make the swing. 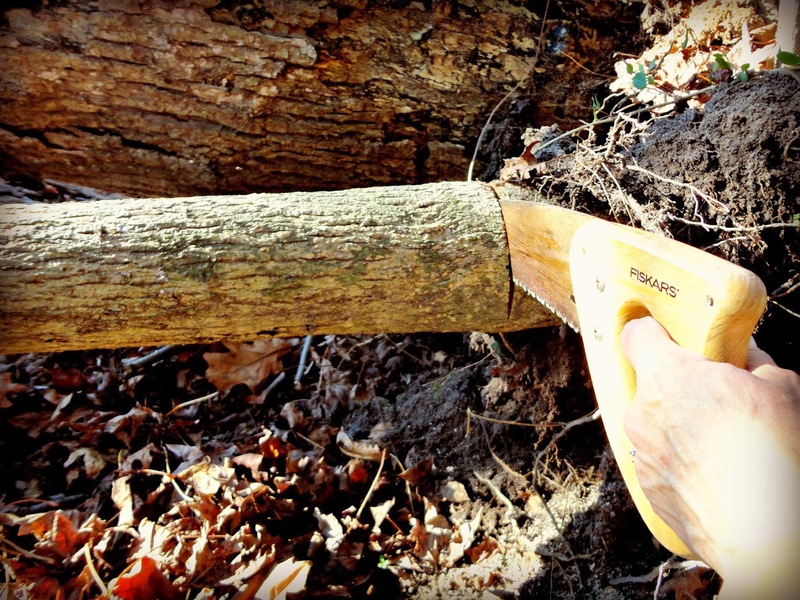 Looks like a great project for this coming weekend! Oh sweet! Share a photo on facebook when you are done! I would love to see it! I'm so glad I'm not the only one afraid of power tools. Although, I'm cool w/ the drill like you. 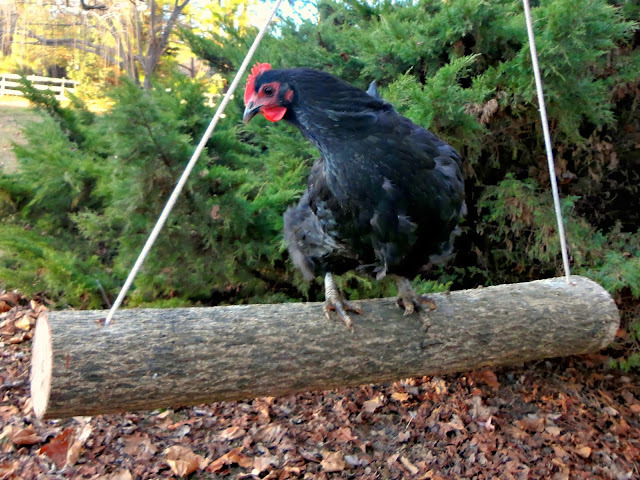 My hens HATE things that move. 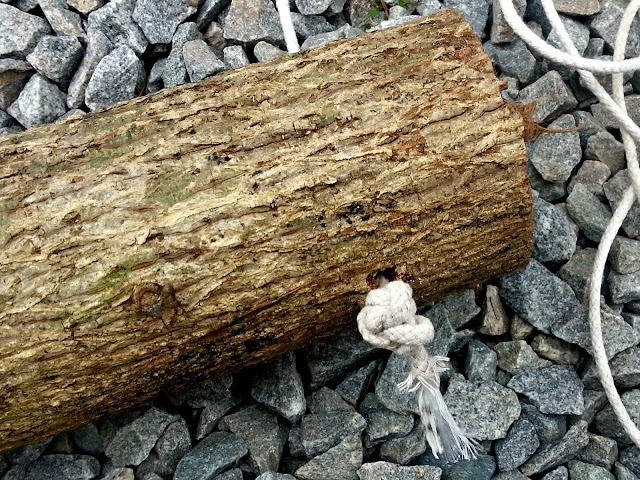 But I do have one who might be game so I think I might give this a try the next time I find a branch the right size. Hahah! 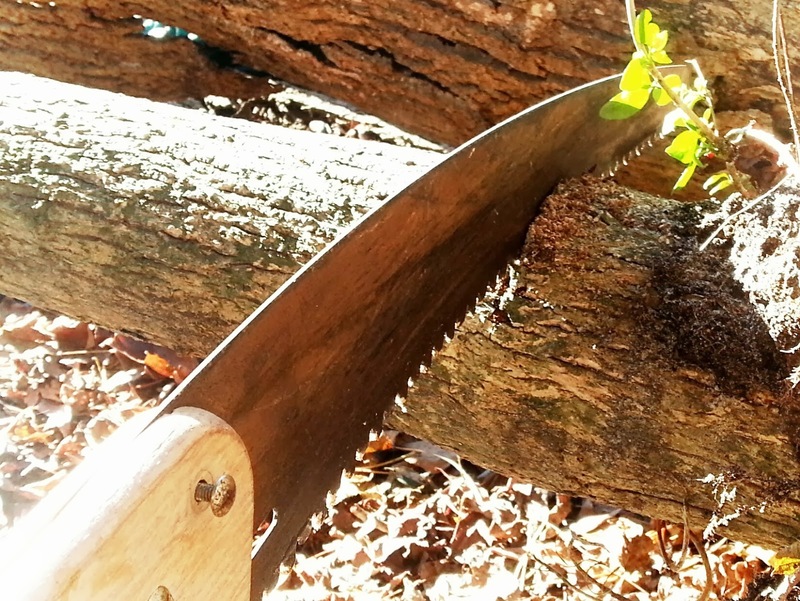 Yeah, I draw the line at chains saws. 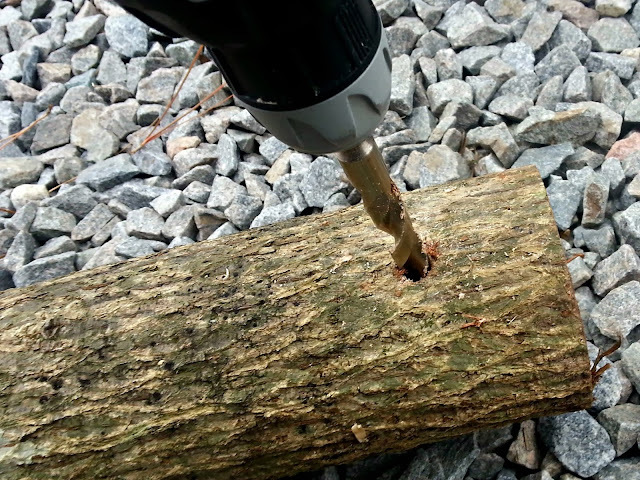 I'm good with a drill and I'll use a jigsaw no problem, circular saw if I HAVE to...but the chain saw - no flipping way! You might try making a 'balance beam' instead for your girls - just make two legs and set the log on top of that so they can hop up but there's no swinging involved! 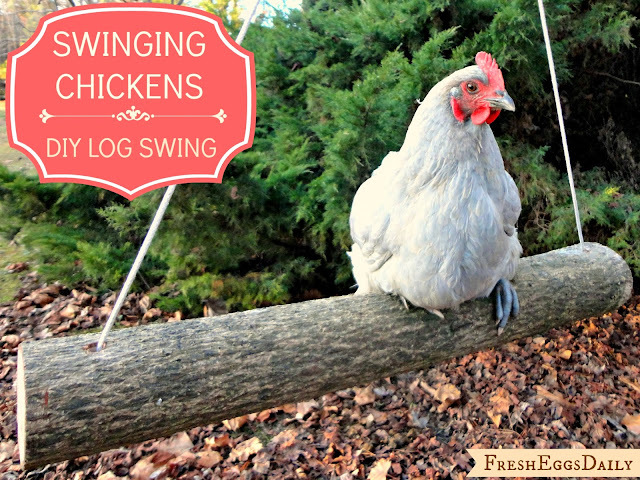 As soon as I saw that chicken swing, I wanted to get one for my flock. But I like your idea better because I have plenty of trees so I can make my own swing! Yup, and they can grip the wood so much better ! I have got to make a few of these! Our hens will love them! What an AWESOME idea!!! I will have to add one this spring! Thanks!! I will be making this as soon as I feel up to braving the snow and sub zero temps! I have a certain roo that would love it. Also, that swing video, perfect song! I found you on Bloglovin, and what an adorable blog. Your chickens are beautiful!! They are really cute, and love their swing. Very nice.